Dandelion is a mobile AR experience designed for Governors Island, as part of my Havas Fellowship: Prototyping the Augmented Island. It imagines a hidden, shape-shifting future monument that, when discovered, users can contribute their own wishes for their vision of NYC as well as listen to the wishes of previous visitors. 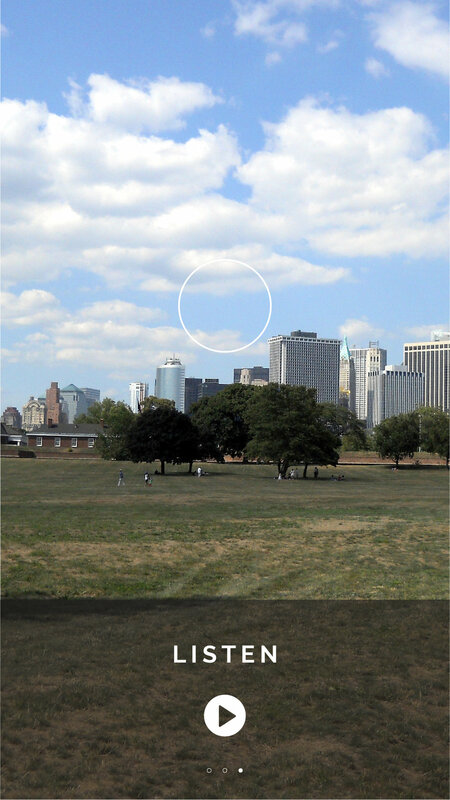 Use augmented reality to tell the story of Governors Island, allowing future visitors to better explore the Island’s landmarks, culture and history with new mobile and narrative-driven experiences. We set out to design a “future monument” that would celebrate the people of New York City. We imagined a huge particle system consisting of visitors add to and interact with, adding a symbol of inclusivity and community to the (digital) skyline of New York. While we all took part in every aspect of this project, I took the lead on interaction design. I began my process by mapping the user’s journey from the city to the island, and identified key locations and moments in the journey where guidance was needed. It became clear that mastering the balance between physical and digital experience was essential to the success of the project. The visitor is handed a physical token when they arrive at Governor’s Island. This token triggers a AR dandelion and unlocks the Dandelion app, which allows guests to record a wish and interact with the installation. 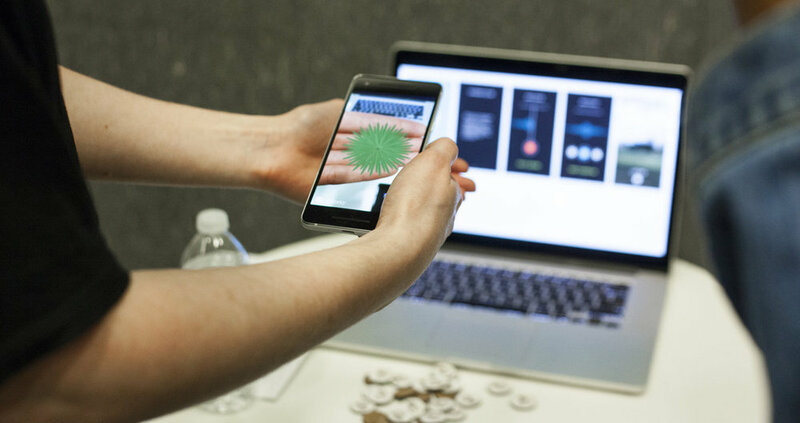 For the final demo we presented the augmented token, interactive particle system, and the Dandelion app design. 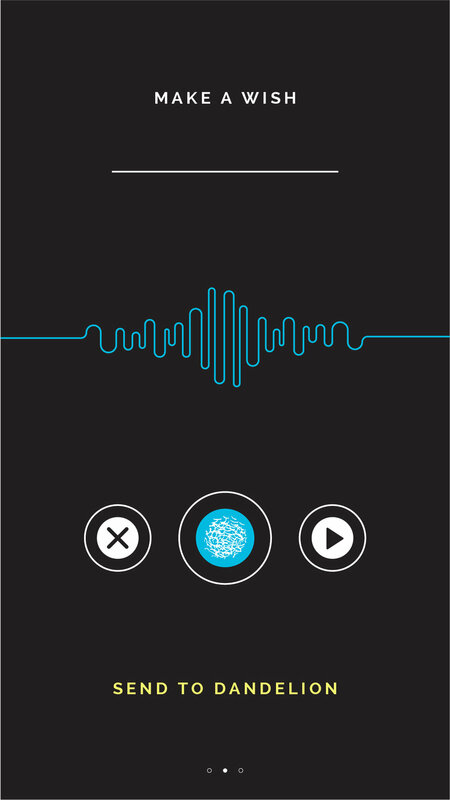 The Dandelion app allows guests to interact with the installation by recording a wish, adding it to the monument, and listening to wish left by other visitors.